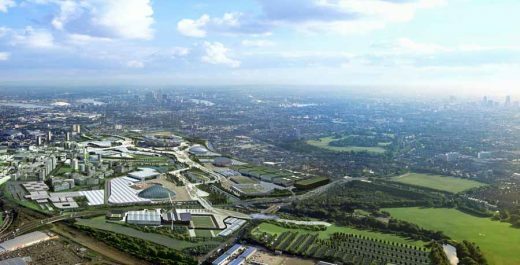 The V&A has appointed Diller Scofidio + Renfro (DS+R), with Austin-Smith:Lord, to lead the design of a pioneering new V&A Collection and Research Centre planned for Here East in London’s Queen Elizabeth Olympic Park. This new centre will transform access to thousands of objects from the V&A’s unparalleled collections of art, design and performance not currently on display, and forms part of the expanded V&A East project alongside a new museum planned for Stratford Waterfront, designed by the Dublin-based practice O’Donnell + Tuomey. The international design competition drew an excellent response from a wide range of practices, with five shortlisted. DS+R’s proposal was selected for its clarity, ambition and originality, communicating a vision that will transform engagement with, and access to, the V&A’s collections. 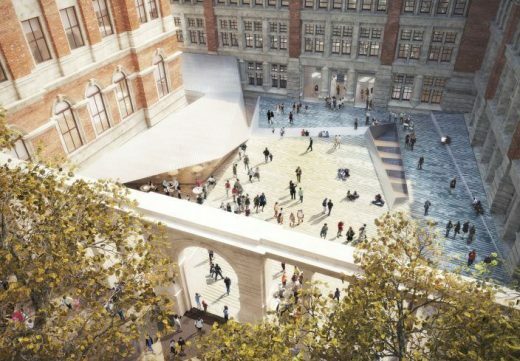 Their proposals will give visitors, researchers and staff new ways to interact with the richness and potential the V&A’s national collections and archives. Diller Scofidio + Renfro (DS+R) is a New York-based design studio whose practice spans the fields of architecture, urban design, installation, and multimedia art. Founded in 1981, DS+R is led by four partners—Elizabeth Diller, Ricardo Scofidio, Charles Renfro and Benjamin Gilmartin. DS+R is responsible for two of the largest recent architecture and planning initiatives in New York City:the High Line and the transformation of Lincoln Center’s performing arts campus. Recently completed projects include Zaryadye Park in Moscow and The Broad in Los Angeles. DS+R is currently engaged in two more projects significant to New York: The Shed, the first multi-arts center designed to commission, produce, and present all types of performing arts, visual arts, and popular culture, and the renovation and expansion of MoMA. DS+R was also selected to design the Centre for Music, a permanent home for the London Symphony Orchestra and conductor Simon Rattle. We hope to post more images shortly. The V&A’s new Collection and Research Centre will be part of the museum’s expanded V&A East project, where it is set to complement the new museum planned for Stratford Waterfront – ten minutes’ walk across the Park. 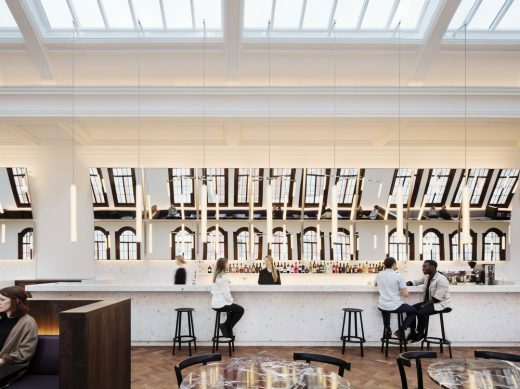 The creation of the centre follows the government’s 2015 decision to sell Blythe House, where a vast array of objects from the V&A’s world-leading collections of art, design, and performance are currently held. Both sites will be open to the public, and united through their displays, research and learning activities, and public programmes, and form part of an Olympic legacy collaboration with other world-leading institutions across culture and education. Design work will begin immediately, with the new centre expected to open in 2023.